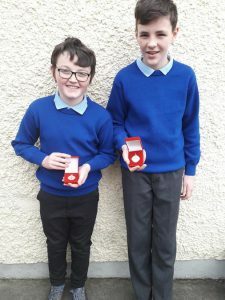 Congratulations to Michael & Charlie on getting an Ulster Silver Medal in the Cumann na mBunscol Ulster Finals. 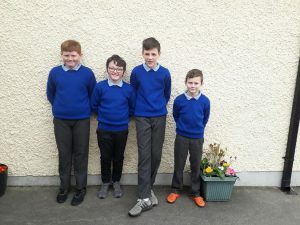 Well done to our brilliant handball squad on their performance in the Cumann na mBunscol Cavan Championships in St Pat’s College, Cavan on Wednesday. John McKeon won silver being beaten in the U-13 singles final. 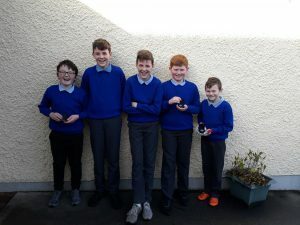 Michael McKeon & Charlie McCormack took gold in the U-13 boys doubles, and Daithi Yore & Mikey Putnam took gold in the U-11 boys doubles. They will now go on to represent Cavan in the Ulster Finals in Belfast on Wednesday.